This week I really wanted to do a chocolate-mint combo, pretty much my favorite thing ever. 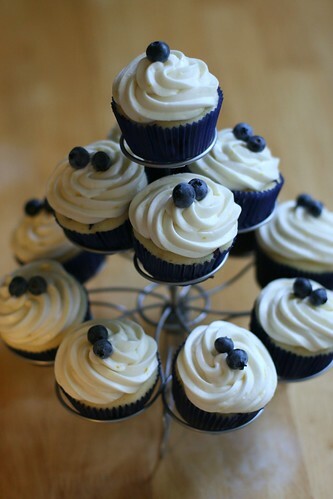 However I didn’t feel like dealing with a frosting so I looked all through my cookbooks and went through various searches on Flickr.com and finally settled on yet another Martha recipe. It seemed easy yet delicious and she hasn’t disappointed me yet. 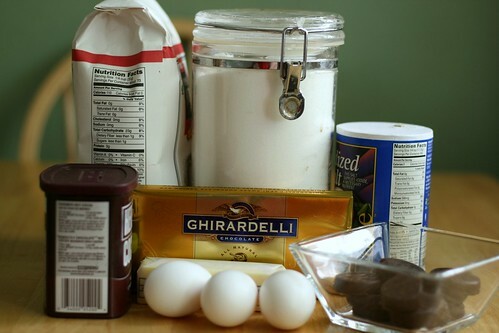 Another confession from me too: when ever I make brownies I always use a mix. I have tried many times to make home-made brownies but they always come out sub-par and I’ve gone and wasted eggs, oil, and chocolate when I could have just bought a mix for 99 cents and had good brownies. So this recipe was the first time I’ve made home-made brownies and had them come out good. 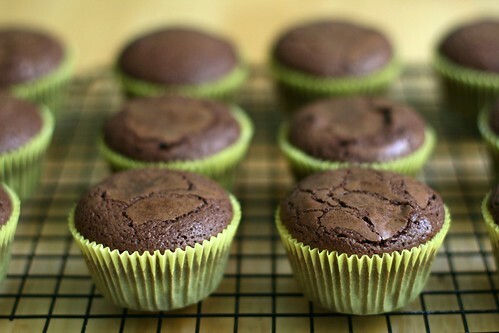 Of course they’re cupcake brownies and that just makes them better anyway! It always seems like the less ingredients something calls for the better something is. 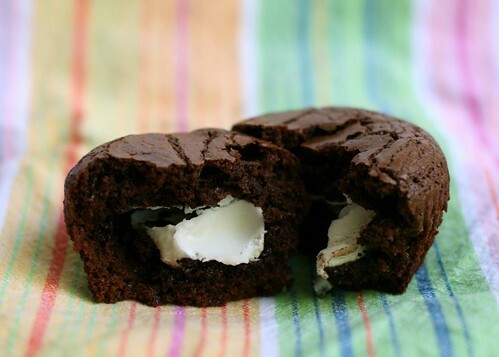 These brownie cupcakes fit into that category. Butter, eggs, chocolate and sugar, how can you go wrong? Once again I had to rig a fake double boiler to place my chopped chocolate and butter into. I really should find a bowl that actually fits on top of one of my pans so I stop almost burning myself while trying to make sure the bowl and my precious ingredients don’t fall off. Once the butter and chocolate are melted you add the sugar and stir until smooth. I had a little trouble with this. I wasn’t sure if Martha meant it should smooth like just the sugar is well stirred in or smooth like you couldn’t see any grains of sugar. I stirred my heart out and I could still see some graininess. I put the bowl back on top of my fake double boiler and stirred some more and that seemed to do the trick. Just as FYI. If you had small kids that enjoy helping you cook this is the time when you can let them. All the chopping of chocolate and stirring over boiling water is not kid friendly, but putting the mints in is for sure. Although you might lose a few to either hot hands (ie, melting) or the mouth (ie, “I just tasted it!” which apparently is different from eating). Also if you take them out of the wrappers at the beginning chances are your kid will stand in the kitchen with their nose over them “just smelling” them for a good 20 minutes. Again, just another FYI. The recipe says to check on them at 35 minutes and if they’re done a cake taster will come out with just a few crumbs attached. This might be the first time where my baked goods were done in the time the recipe says they will be. 35 minutes and they were perfect. 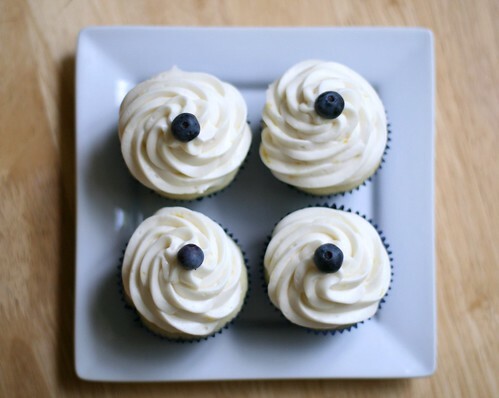 I loved the way the tops looked with the cracks, they were dense feeling in my hands so I was worried the cupcake liners would stick but they didn’t. 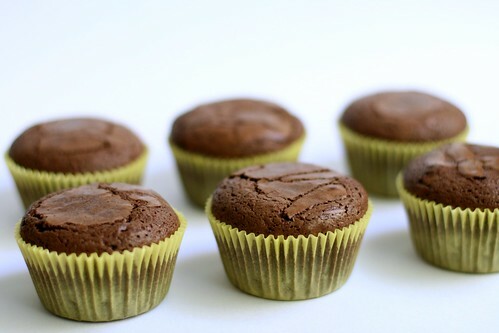 Just perfect little brownie cupcakes. With a secret mint center. Mmm! 1. Preheat the oven to 350 degrees. 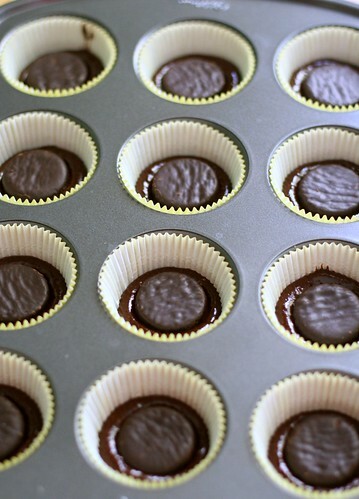 Line a standard muffin pan with paper liners. 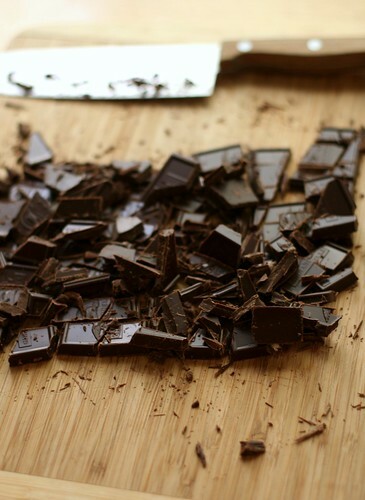 Place chocolate and butter in a heat proof bowl set over a pan of simmering water. Stir occasionally until just melted, 4 to 5 minutes. 2. Remove from the heat. Whisk in the sugar and salt until mixture is smooth, whisk in eggs to combine. 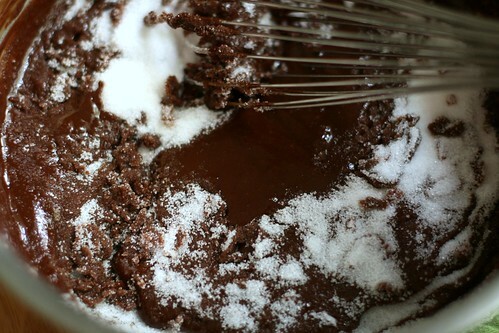 Gently whisk in flour and cocoa just until smooth. 3. Spoon 1 heaping tablespoon of batter into each lined cup. Place 1 peppermint patty on top, gently pressing into batter. Top with two tablespoons batter, covering patty completely. Bake, rotating tin halfway through, until a cake tester inserted halfway into centers (above mint patty) comes out with only a few moist crumbs attached, about 35 minutes. 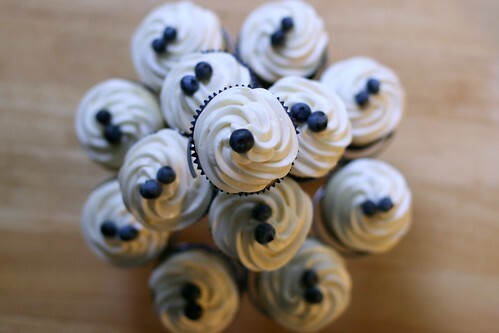 Transfer tin to a wire rack to cool completely before removing cupcakes.